A couple of reviews for you last week, beginning with Code:Breaker. It’s one import that was a total leap in the dark for me, just a case of click, buy, and hope. It’s quite the oddity, a modern anime story told in a vintage vernacular, a tale of a girl encountering young people with special powers, employed for some unsavoury business by the government. It’s a little reminiscent of The X-Men, but told in an anime style that was more common some twenty or thirty years ago. Click on the review to read more. 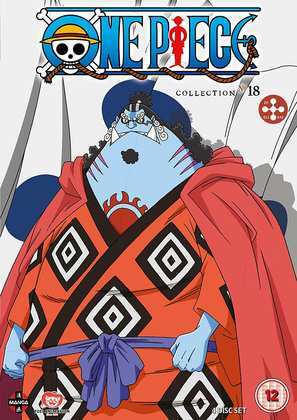 Next it was the turn of One Piece Collection 18. We’re back with Luffy and the gang... only in this collection it’s mostly Luffy without the gang. They’ve all been separated, and we’re sticking with the rubber limbed pirate for the duration (except for a brief stretch of filler), as he attempts to rescue his brother Ace from the prison Impel Down. In typical contrary Luffy fashion, he’s breaking into the one place that most everyone else would want to break out of. There’s plenty of pirate action in this collection, and some character blasts from the past, but One Piece is lacking a little something at this point. Hanasaku Iroha. There’s anime that I like, anime that I love, and anime that I lose all semblance of rational thought about. Hanasaku Iroha is one of those, a show that I adored so much when I saw it streamed that I had to buy it no matter what. NISA released it in the US, on Region A locked Blu-ray and Region 1 DVD combo, in a ridiculously sized and expensive collector’s edition, or rather two of them. By an odd quirk, the Blu-ray works on Panasonic players if you press the Top Menu button at the Region lock screen, or at least it used to, as I discovered that the trick doesn’t work on my new Panasonic machine, just my old ones. 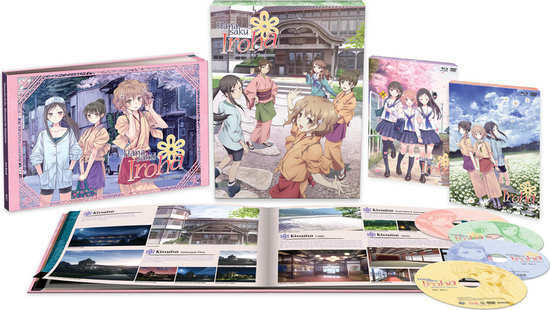 And I don’t care; I’d spend that much on something so impractical again, as long as it was Hanasaku Iroha. It’s a delightful tale about a young girl who is ‘abandoned’ by her mother, sent off to her grandmother’s, and winds up working in her hot springs inn. She discovers the joys of working, of teamwork, and finding a family, in a story filled with delightful characters and entertaining situations and stories. To date, only NISA in the US has released this show with English localisation. The 2013 Premium Editions that I bought are out of print, and hard to find now, but the show was re-released in Standard Editions last year. Here’s a review of Part 1. There was also a subsequent movie spin-off, but rationality resumed before I could click on that ‘buy’ button. 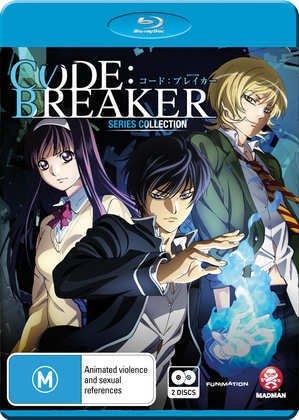 Madman Entertainment in Australia released Code:Breaker on BD and DVD back in 2014. Manga Entertainment release One Piece Collection 18 on DVD next Monday.